The Peoples Democratic Party (PDP), Azu Uzii ward 3, in Owerri Municipal Council of Imo State recently held a meeting, in their usual venue at Oparanozie Street, Owerri, where they strategized on modalities to ensure victory for the party in 2019. They also resolved to embark on massive grassroots mobilization to win more converts because, according to their chairman, politics is a game of numbers. Speaking at the occasion, the chairman of the party in the ward, Engr. Obinna Felix Nwachukwu, popularly called Matters Arising, urged members to firmly embrace the party, be more committed, dedicated and proactive. He said, “we will occupy Douglas house, come 2019, because Nigerians and Imolites in particular, have realized that the APC government in the state and at the federal level have failed woefully. They have also realized that PDP is the only political party that has the antidote to the myriads, of problems the country is presently enmeshed in. He cautioned them against anti party activities, which he said, is a serious offence that will also be viewed seriously. “Please confirm from the chairman or the secretary before attending any meeting not convened by them. Do not rely on mere phone calls and text messages to avoid indicting yourselves unknowingly”. On the issue of the suspended Owerri Municipal council youth leader, who was suspended indefinitely by the LGA exco for alleged unwholesome actions and conducts, Engr. Nwachukwu said, though he is from Azu Uzii ward 3, it is too early to talk of his replacement as canvassed by members, because he has not yet been expelled. “We have to be patient for due process to be followed by those handling the issue”. The meeting which was held a amidst singing and dancing, with joy and happiness pervading the air, also featured encomiums and unanimous votes of confidence on Engr. Obinna Nwachukwu and members of his executive. 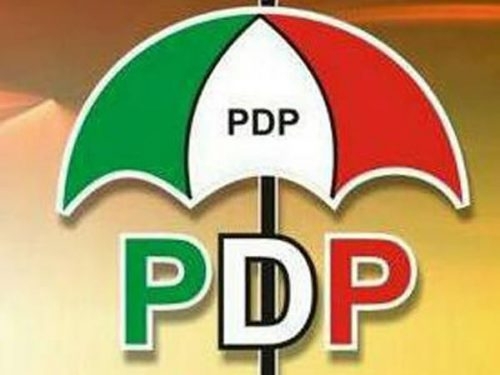 Three prominent leaders of the party in the ward, Chief D. C. Ofoegbu, Chief Kingsley Inyama and the women leader, Mrs. Juliana Emeka, said, “the chairman and his exco are products of a transparent and credible process, approved by state and national leadership, hence we are neither a faction nor a dissident group. Our chairman has been a beacon of light, transparent and consistent, even during the crisis, hence this ward has remained formidable and intact.” Please, let us all be loyal and give our chairman and his exco the desired support and encouragement to move the party forward because they have shown commitment, and unparalleled leadership qualities. The youthful and hardworking provost of the party in the ward, Mr. Uche Iwuagwu practically exhibited his commitment and dedication to the party in the course of the meeting, as he was virtually everywhere, ensuring that all went well. From all indications, Azu Uzii ward 3 is poised to ensure victory for all who will contest on the party’s platform, come 2019, as they have resolved to constantly strategize and reposition the party for the challenges ahead.